Originally meant to be brief and exceptional, solitary confinement in U.S. prisons has become long-term and common. Prisoners spend twenty-three hours a day in featureless cells, with no visitors or human contact for years on end, and they are held entirely at administrators' discretion. Keramet Reiter tells the history of one 'supermax,' California's Pelican Bay State Prison, whose extreme conditions recently sparked a statewide hunger strike by 30,000 prisoners. 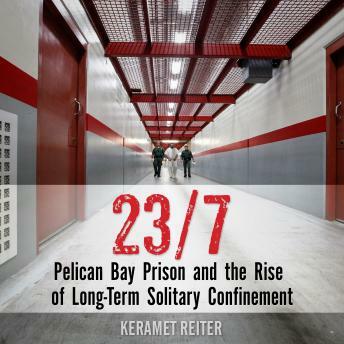 This book describes how Pelican Bay was created without legislative oversight, in fearful response to 1970s radicals; how easily prisoners slip into solitary; and the mental havoc and social costs of years and decades in isolation. The product of fifteen years of research in and about prisons, this book provides essential background to a subject now drawing national attention.